blend on high speed for about 30 seconds or until all of the ginger is pureed. 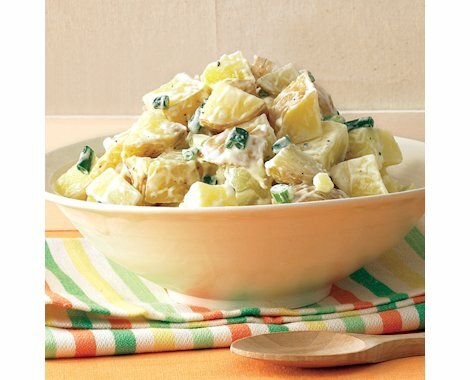 chill and serve over salad. place the fish in a baking dish. in a small bowl, combine the garlic, cumin, chili powder, and 1 T of olive oil and squeeze lime half in. season with salt and pepper. stir and pour over the fish, making sure to evenly coat it. refrigerate and let marinate for at least 15 minutes. warm the tortillas. place individual tortilla on a plate, place a dampened paper towel over it, and heat it for 5-7 seconds in the microwave. do the same with the others. next, take fish out from refrigerator and cook on medium over the stove in a pan. cook for about 7-10 minutes. scoop fish out on a plate and break it up into smaller pieces, so it’s easier to be served and divided up into tacos. create your fish tacos by adding topics of your choice ! 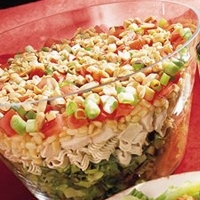 arrange lettuce in bottom of large (3-quart) clear glass serving bowl. discard seasoning packet from ramen noodles. crush noodles and layer over romain. layer the remaining salad ingredients, in order listed, over romain. in a small jar or container with tight lid, combine all dressing ingredients. shake or stir until well blended.